I don't know about you, but I find this world of ours crazy cool! There are so many vastly different landscapes, cultures, and traditions, it's amazing that we all live on the same planet! After exploring Iceland over November, and feeling as though I were on the moon, I came to realise how much of the world I haven't explored yet. And how eager I am to continue exploring! With that in mind, I sought out to find some truly unique destinations around the world. Some, I had never heard of before, others have been on my mind for years now. Here are 10 unique travel destinations to add to your bucket list! An island between the French Rivera and Italy, morphing the best of the two cultures. Although small, Corsica boasts a diverse landscape, from sweeping coastlines to jagged cliffs, dense forests and spectacular valleys – you'll be sure to fall in love with its everlasting beauty. A little difficult to get to, but totally worth the hassle! Zhangjiajie is surrounded by breathtaking mountain peaks beyond your wildest dreams, winding rivers, dense forests, and large karst caves. There's certainly no where else like it in the world. Ever dreamed of exploring untouched cultures and lands? Then Bhutan is the perfect destination for you. Although somewhat expensive due to the daily tourist tax (US$250 per day, all inclusive including accomodation, food, guide, transport), this place is absolutely magical. Overlooked by the majestic Himalayas, Buddhist monasteries at every turn, surrounded by ancient forest, what's not to love? I never knew these beautiful Islands existed until I was planning my Iceland trip and looking at surrounding areas on the map. With steep mountains, green rolling hills, and the ocean always surrounding you, it sounds like my kind of paradise. Andalusia has it all – ancient cities, vast deserts, picturesque-beaches and mountain ranges. What's best, it's predominantly tourist free – just stay away from the resorts. So you'll have a region with delicious food, enthralling culture and people all to yourself. Sounds like a European dream! I may be a little biased, but the Australian outback is unlike anywhere else in the world. It's terrain is vast, every changing, and incredibly tolerable to the elements. Kakadu showcases red dirt landscapes, wetlands and mirror rivers, sandstone cliffs, waterfalls, and ancient Aboriginal history and culture. 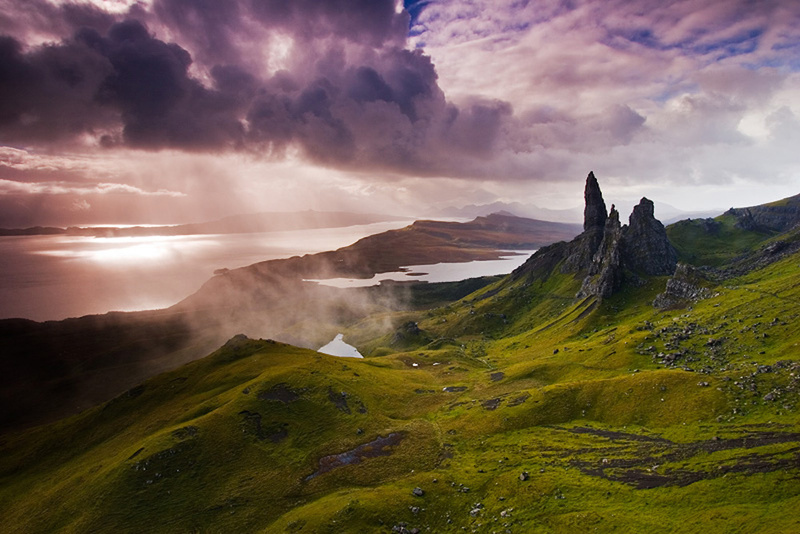 Hire a car to explore the green rolling hills of The Scottish Highlands. Rich in history, lonely landscapes and green pastures, it'll be sure to have you stunned from its beauty. 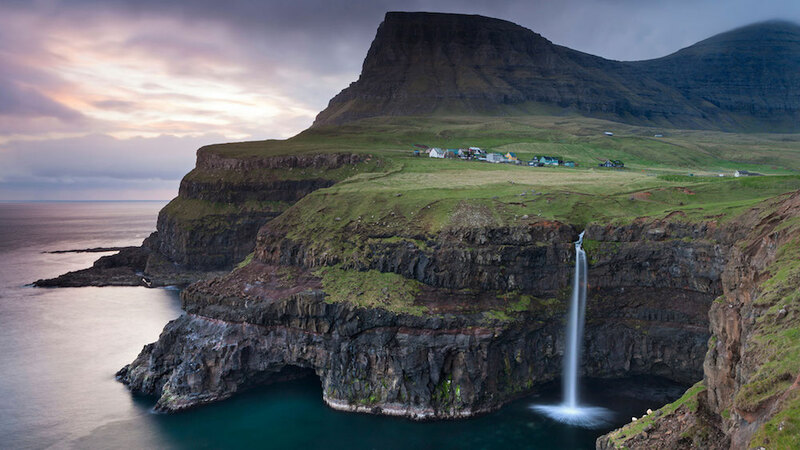 A small isolated island with incredible landscapes! In fact, ninety percent of the native plant life found on Madagascar isn't found anywhere else in the entire world! Making it feel like a real life Dr. Seuss novel. Pamukkale translates to 'cotton castle', and a cotton castle it is! Tiers of white thermal pools cascade down a mountain. These tiers are travertines, or calcium carbonate shelves that spill and when cooled create pools full of warm, milky-blue thermal water. Good for the body and soul. That beautiful ice-covered inhabitable land that sits at the bottom of the earth, actually takes tourists every year! Although it'll cost you, it could be the most incredible experience of your life. I for one, have Antarctica on my bucket list! These are some incredible places in the world! Tell me, what's on your bucket list?